"To blame the media [for our culture of fear that is disproportionate to actual risk] is to oversimplify the complex role that journalists play as both proponents and doubters of popular fears. It is also to beg the same key issue that the millennium hypothesis evades: why particu­lar anxieties take hold when they do. Why do news organizations and their audiences find themselves drawn to one hazard rather than an­other? "Mary Douglas, the eminent anthropologist who devoted much of her career to studying how people interpret risk, pointed out that every so­ciety has an almost infinite quantity of potential dangers from which to choose. Societies differ both in the types of dangers they select and the number. Dangers get selected for special emphasis, Douglas showed, either because they offend the basic moral principles of the society or because they enable criticism of disliked groups and institutions. In Risk and Culture, a book she wrote with Aaron Wildavsky, the authors give an example from fourteenth-century Europe. Impure water had been a health danger long before that time, but only after it became convenient to accuse Jews of poisoning the wells did people become preoccupied with it. "Or take a more recent institutional example. In the first half of the 1990s U.S. cities spent at least $10 billion to purge asbestos from public schools, even though removing asbestos from buildings posed a greater health hazard than leaving it in place. At a time when about one-third of the nation's schools were in need of extensive repairs the money might have been spent to renovate dilapidated buildings. But hazards posed by seeping asbestos are morally repugnant. A product that was supposed to protect children from fires might be giving them cancer. By directing our worries and dollars at asbestos we express outrage at technology and industry run afoul. "From a psychological point of view extreme fear and outrage are of­ten projections. ... Within public discourse fears proliferate through a process of ex­change. ... Conservatives also like to spread fears about liberals, who respond in kind. Among other pet scares, they accuse liberals of creating 'chil­dren without consciences' by keeping prayer out of schools -- to which liberals rejoin with warnings that right-wing extremists intend to turn youngsters into Christian soldiers. "Samuel Taylor Coleridge was right when he claimed, 'In politics, what begins in fear usually ends up in folly.' 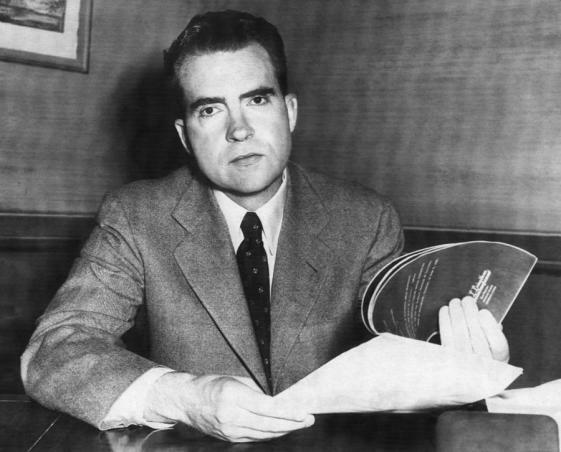 Political activists are more inclined, though, to heed an observation from Richard Nixon: 'People react to fear, not love. They don't teach that in Sunday school, but it's true.' That principle, which guided the late president's political strategy throughout his career, is the sine qua non of contemporary political campaigning. Marketers of products and services ranging from car alarms to TV news programs have taken it to heart as well. "The short answer to why Americans harbor so many misbegotten fears is that immense power and money await those who tap into our moral insecurities and supply us with symbolic substitutes."